Things got very awkward on Thursday when Chris Matthews asked DNC Chair Debbie Wasserman Schultz what the difference was between the modern Democratic Party and Socialism. 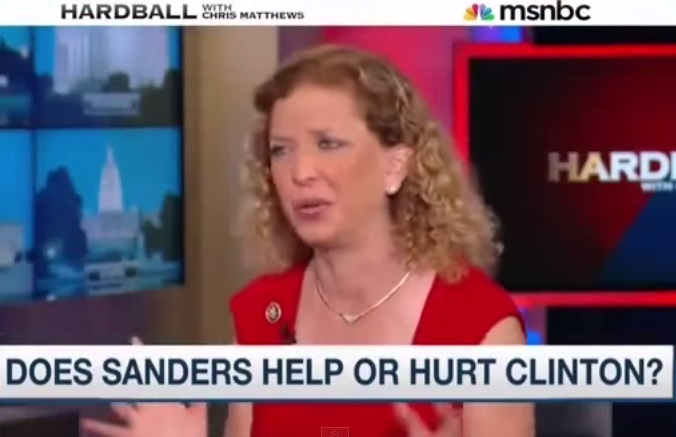 Debbie Wasserman Schultz was completely stumped. We haven’t seen that dazed look since Rachel Dolezal was busted as a fraud. Because, as we all know, there is no difference between today’s Democrat Party and radical Socialism. On Sunday DNC Chair Debbie Wasserman Schultz was again asked to explain the difference between the modern day Democratic Party and Socialism. At least they’re not bragging about it yet.